Meet Sona Jobarteh: Britain’s Queen of the Kora! ‘Afropean’ is a new term for European born/African heritage people. A number of them are of mixed racial heritage, but all of them strongly identified with their African heritages - both directly from the motherland continent of Africa and via the various diaspora homelands, particularly Brazil and the Caribbean. Most of them are at least bilingual, and many of them are polyglot. Although they may specialize in a particular musical genre, their works reflect diverse influences even as they champion an African essence. Sona Jobarteh is a quintessential example of this development. Jobarteh is the granddaughter of Amadu Bansang Jobarteh, who migrated from Mali to Gambia. In Gambia he was acclaimed as a major griot and kora player. She is the cousin of celebrated kora master Toumani Diabate and is also the sister of Tunde Jegede who directs the African Classical Music Ensemble, with whom Sona tours. 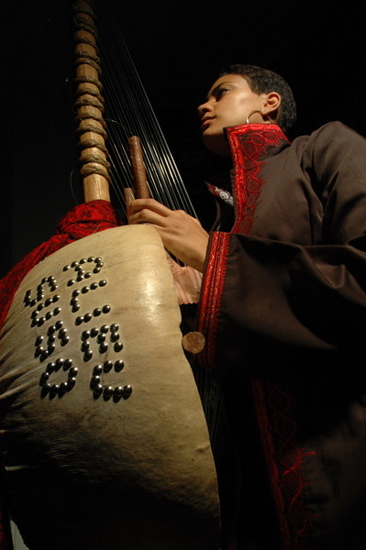 Sona has spent significant time in both England and Gambia, and is considered the first major female kora player. But she is much, much more than a novelty act. Sona formally studied music in England and the Gambia. She was born in London in 1983. When she was four she performed at the Jazz Café in London. She attended London’s prestigious Royal College of Music, where she studied the cello, the piano and the harpsichord. She went on to study composition at the Purcell School of Music. In addition to the kora, she is a proficient guitarist. She also sings and composes including scoring for movies. While it would be easy to go gaga over her accomplishments thus far in her young career, my interest in her music is in how she negotiates the wide divide between her European education and her more traditional African aesthetic. 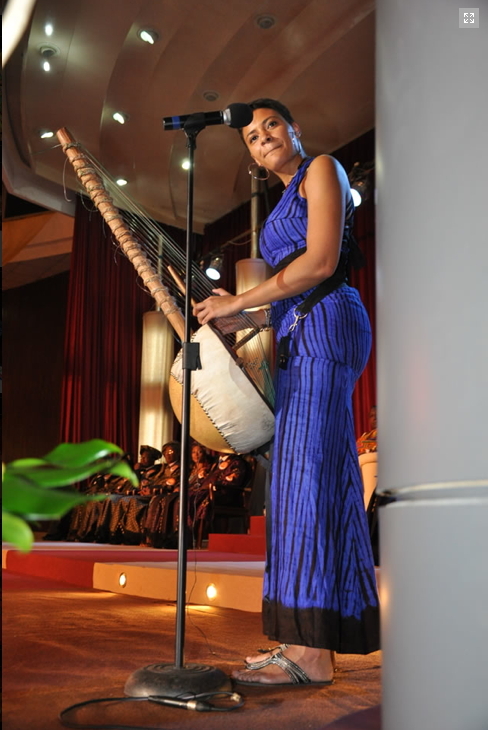 The kora is her major instrument; it sounds somewhat like a harp but more percussive. Her singing voice is both soft and strong, lilting and definite. On Afro-Acoustic Soul, her debut album, the songs are divided mainly between songs of sweet/bitter love and conscious statements exhorting self-awareness and social struggle. The first six tracks on the Mixtape are from Afro-Acoustic Soul and at least half of them would not be out of place in the format for contemporary urban radio. 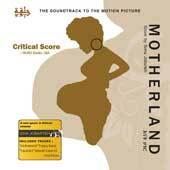 The next six songs on the Mixtape are from Motherland, the movie soundtrack that Jobarteh composed. These tracks have a floating, meditative atmosphere—incense, candles, quiet contemplation. The selections are not songs in the western sense, instead they are gentle grooves with beguiling melodies featuring string-voiced vamps, enriched by the floating beauty of Jobarteh sotto-voiced cooing. The movie soundtrack has an open sky, long journey ambiance to it. It seems simple, but in reality the pieces are exquisitely crafted with layers of lyricism including multi-tracked vocals and a truly subtle use of percussion. But there is more. 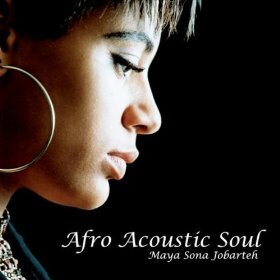 Two tracks are taken from video clips of recent performances of Sona Jobarteh in a trio format with a percussionist and guitarist supporting her kora/guitar and voice. These intimate selections demonstrate both her skill and her confidence. The music does not sound weak or incomplete. Indeed, it is amazing how comfortable the trio format is for her but then she is singing traditional lyrics in tribal tongues. These tracks make you wonder whether Western education has had any significant impact on her music aesthetic. The last two tracks are from the Fasiya EP, which is a precursor of her forthcoming full-length Fasiya album. The EP has three tracks from Fasiya and two tracks from the Motherland soundtrack. The two Fasiya selections included on the Mixtape indicate an intense identification with traditional village music. Whereas many musicians of her generation born in the eighties and nineties are trying to fuse traditional elements with contemporary hip hop elements or with jazz elements, Sona is exploring the traditional to striking effect. Part of this emphasis may be due to her skills as a producer and sound engineer, by which I mean there are so many ways for her be involved in the music making process that she probably feels no need to explore other genres or even to attempt to mix and/or merge genres. And this is the contradiction of being a cultural creole — some of us chose to emphasize one element even though we are often expert in a number of fields of expression. In Sona’s case, her decision to employ the traditional is in fact a choice and not an imposed restriction. She not only knows other genres, she has studied other musical aesthetics at the highest level. I thoroughly enjoy what Sona is doing. At the same time I am curious about both her intentions and her emotions. Can her English upbringing be so easily forgotten and/or totally abandoned on an emotional level? It is one thing to go totally one way or the other, but to live urban and make village music, I wonder is there a part of Sona that is consciously jettisoned or at the very least constrained. I do not mean to imply that she is not doing what she wants to do and what feels right for her to do. One listen to the trio tracks and you can tell, she is all the way live into this music. But then again, perhaps her first album was the answer to my question. Afro Acoustic Soul was the English-speaking part of her. Now she is exploring the other parts of her. This is a fascinating cultural treasure. Will she produce more English-language music? Those last two selections from Fasiya are superb. Even as I wonder about the unvoiced elements, I am nonetheless marveling at the richness and beauty of what is presented. These Afropeans are significantly enriching Afrcan-heritage musical culture. Moreover, this is only the beginning. Imagine what Sona Jobarteh and all the others will produce once they mature. What a bright future we have!